If you are the CEO or Founder of a company, a Manager, a School Administrator, a Network Marketing Professional or a leader in any capacity, you will agree with me that TEAMWORK is a must for the success of your company or project. How do you foster the culture of Teamwork? 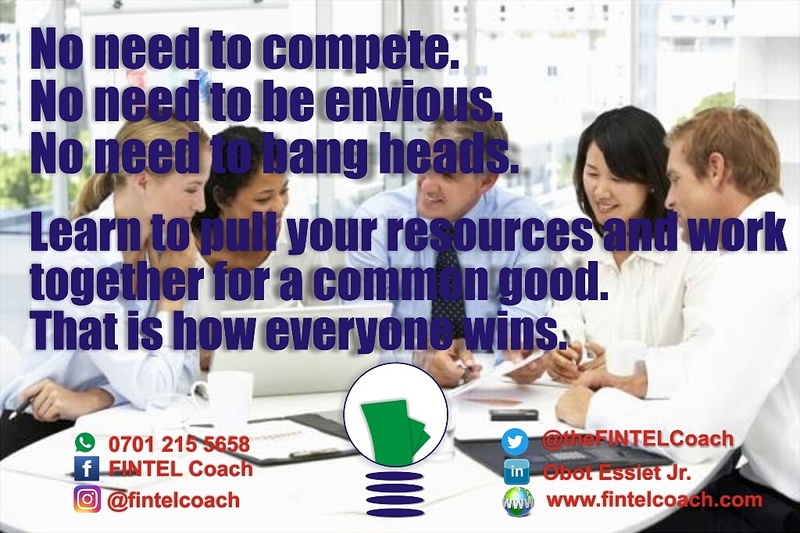 Let your Team members know that there is no need to compete, throw mud on one another or be envious. You all are in this together. The success of that business depends on the collective effort of every member of the team, leaders and followers alike. No one is useless. No one should be made to feel inadequate.